The onset of summer is soon to set in. Before we welcome the sweltering heat, it is important that we cleanse our thoughts and habits and rethink our belief system, believes celebrity nutritionist Rujuta Diwekar. 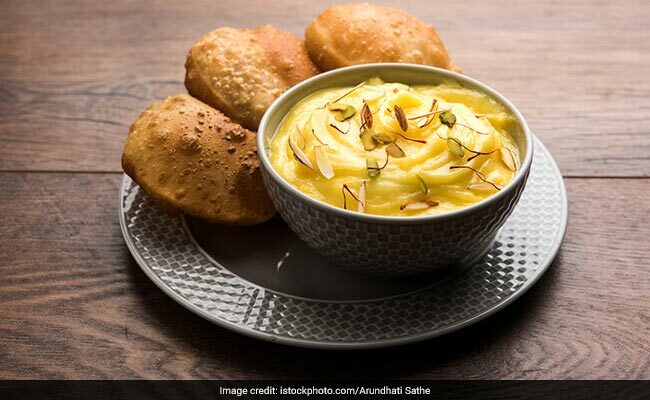 In one of her recent posts on Instagram, Rujuta talks about poori-shrikhand, a great food combination of probiotic and good fat. Keeping good health in mind, there are certain food combinations that provide you with complete nutrition. Dal rice, for instance, is the perfect meal with complete amino acid profile. Similarly, poori shrikhand is a perfect meal for the upcoming summer. Shrikhand is made by adding sugar to hung curd, this making it a "perfect combo of probiotic bacteria and essential fats." Probiotics are important for improving digestion and gut health. Rujuta further mentions that poori shrikhand doesn't load the pancreas. She puts emphasis on the fact that with heat increasing with every passing day, cows will be unable to give enough milk. And thus, "this is the last time to make a delicacy out of a milk product till the next winter." Sugar allows the body to cool down during summer. Shrikhand (probiotic) when eaten with deep fried poori, is a meal with low glycemic index. Also, since fat is important for feeling of satiety, it reduces chances of overeating. This simple meal is healthy and safe for all, including people with obesity, diabetes or heart disease. 1. Fats and vegetables: The key is to prepare your vegetables in a healthy cooking oil. Vitamins A, D, E and K are fat soluble vitamins that can only be absorbed by the body in the presence of fats. Mustard oil, olive oil, coconut oil, ghee and ground nut oil are some examples of healthy cooking oils. 2. Vitamin C and iron:Vitamin C is required by the body in order to absorb iron from iron rich foods like spinach, beans, kale and lentils. So, adding some lime juice to your meal prepared with spinach, or adding some citrus fruits to your salad can be a good food combination this summer. 3. Green tea and Vitamin C: Drinking green tea with a Vitamin C rich food can increase absorption of antioxidants catechins. While green tea has its own set of health benefits, antioxidants can help in reducing damage caused by free radicals in the body. Antioxidant rich foods are also good for heart health, and reduce risks of cancer.